On October 10th 2015, Dr. Phillip W. Serna was interviewed on WWFM Classical‘s current-events program A Tempo with Rachel Katz discussing his outreach program ‘Viols in Our Schools.’ During the program, Dr. Serna also discussed New Comma Baroque, the Spirit of Gambo – a Chicago Consort of Viols, Adlai E. Stevenston High School’s Baroque Ensemble & Viol Consort, as well as endeavors to expand access to viols at Naperville North High School thanks to the VdGSA‘s consort loan program. To download the interview, click here. For more information about A Tempo with Rachel Katz, visit http://www.wwfm.org/webcasts_katz.shtml. For Viols in Our Schools, please visit http://www.violsinourschools.org/. The photo above was taken by photographer Alex Belisle. 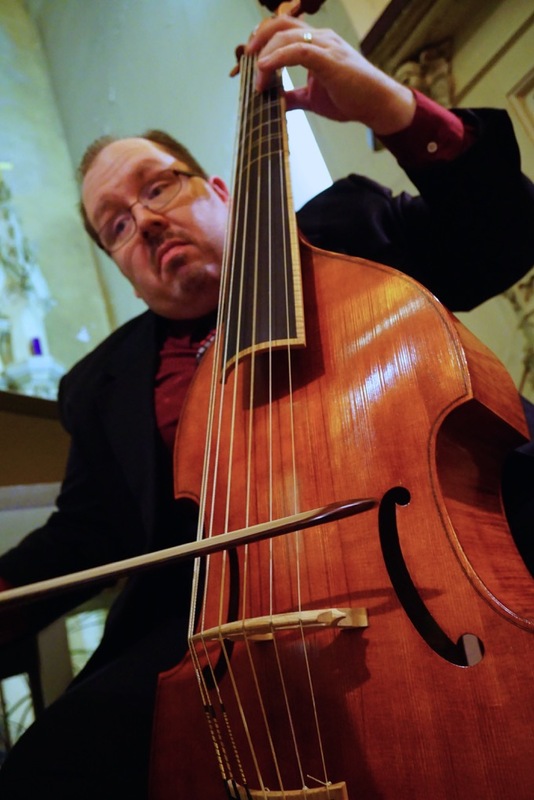 On August 4, 2012, Viols in our Schools’ Dr. Phillip W. Serna was featured as part of Jeff Lunden’s piece “Gathering Of The Viols: The 50th Annual Viola Da Gamba Conclave” covering the 50th Conclave of the Viola da Gamba Society of America. To read the complete article or listen to Jeff Lunden’s piece, please click here. For more information about NPR, visit http://www.npr.org/. For the Viola da Gamba Society of America, visit http://www.vdgsa.org/. On January 4th 2010, Dr. Phillip W. Serna was interviewed by Black Oak Presents about his outreach program ‘Viols in Our Schools.’ Originally printed in the Winter 2009 issue of Black Oak Presents, pg. 8-11, to read the article, please click here. For more information about Black Oak Media, visit http://www.blackoakmedia.org/. For Viols in Our Schools, please visit http://www.violsinourschools.org/. In November 2009, Dr. Phillip W. Serna and his viol duo, Duo fantaisie en Echo, were featured in the Valparaiso University’s The Torch about their concert efforts and about his outreach program ‘Viols in Our Schools.’ To read the article, please click here. For more information about the Valparaiso University’s The Torch, visit http://www.valpo.edu/. For Duo fantaisie en Echo, visit http://www.duoenecho.org/. For Viols in Our Schools, please visit http://www.violsinourschools.org/. 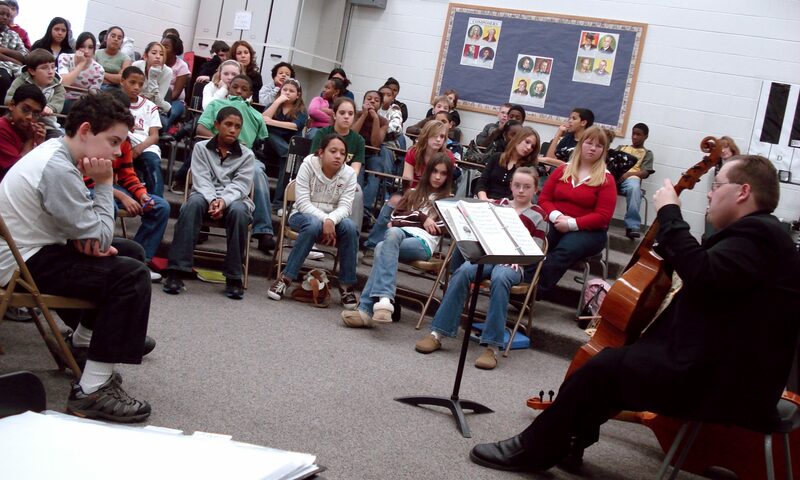 On October 29, 2009, Dr. Phillip W. Serna was featured in the Naperville Sun about his outreach program ‘Viols in Our Schools’ and his collaborative perforamance at Naperville north High School. To read the article, please click here. For more information about the Naperville Sun, visit http://napervillesun.suntimes.com/. For Viols in Our Schools, please visit http://www.violsinourschools.org/. In March 2009, Dr. Phillip W. Serna was featured in the International Musician about his outreach program ‘Viols in Our Schools.’ To read the article, please click here. For more information about the International Musician, visit http://www.internationalmusician.org/. For Viols in Our Schools, please visit http://www.violsinourschools.org/. On January 27th 2009, Dr. Phillip W. Serna was featured in the Northwest Indiana Times about his outreach program ‘Viols in Our Schools.’ To read the article, please click here. For more information about the Northwest Indiana Times, visit http://www.nwitimes.com/. For Viols in Our Schools, please visit http://www.violsinourschools.org/. On January 9th 2009, Dr. Phillip W. Serna was featured in Door County’s Peninsula Pulse about his outreach program ‘Viols in Our Schools.’ To read the article, please click here. For more information about the Peninsula Pulse, visit http://www.ppulse.com/. For Viols in Our Schools, please visit http://www.violsinourschools.org/. December 1st 2007, Dr. Phillip W. Serna ‘Early Strings Advocacy – Introducing Renaissance and Baroque String Repertoire on Period Instruments to Classrooms’ was published as part of The String Teacher’s Cookbook: Creative Recipes for a Successful Program. For more information on The String Teacher’s Cookbook, visit http://www.meredithmusic.com/the-string-teachers-cookbook.